It can be hard for longtime backpackers to break away from a feature-rich pack and move into the lightweight category. 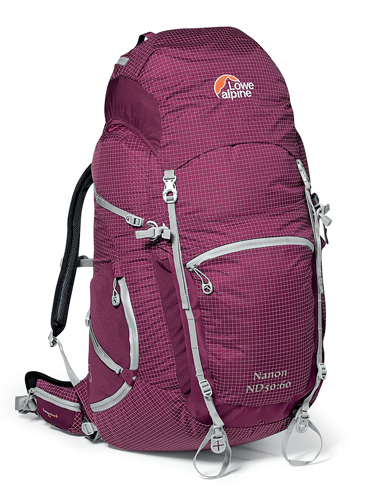 But with its new packs, Lowe Alpine can help ease the way. The company’s Zepton and Nanon packs are designed for anyone trying to make that exact transition — they are marketed as packs for people who want to go lightweight but don’t want to break the bank. Both packs use Dyneema — a very light, very strong fabric — to create packs that weigh less than 3 pounds when empty. That is considered to be lightweight by most adventurers. The Zepton, designed for people that want to go most minimal, features a lithe hip belt, 10-millimeter-wide straps, stretch side pockets, an internal lid pocket, trekking pole tip grabbers to secure your poles, a hydration sleeve, and a ventilating harness. 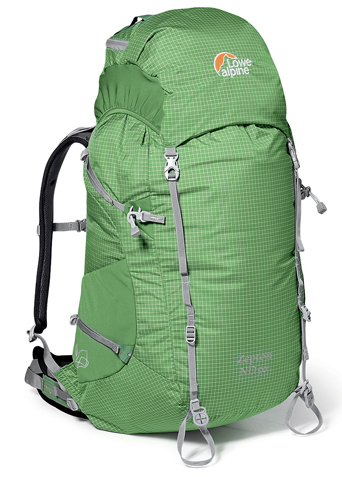 The Nanon was made for backpackers who prefer a lightweight build balanced with more features. It has all the add-ons that the Zepton does plus there is an expandable lid, hip belt pockets, a front storage pocket, and an adjustable torso system. It weighs a few ounces more than the Zepton. The company cites the exact weight of each pack as follows: Men’s Zepton, 2 pounds 9 ounces; Women’s Zepton, 2 pounds 7 ounces; Men’s Nanon, 3 pounds 1 ounce; Women’s Nanon, 2 pounds 12 ounces. Capacity is adjustable with the Nanon — from 4,000 to 4,600 cubic inches — and fixed at 4,000 cubic inches with the Zepton. Both are made to carry about between 20 to 35 pounds, the company cites.